The Peloton de l’Espoir, will take place between 1 and 8 July from Strasbourg to Lyon (France), is the result of a great collaboration between the AFAF, FARA and the Illkirch IGBMC (see our magazines Espoir n° 146 and 147). Hélène Puccio (IGBMC) initiated this event a year ago and consequently, very strong ties were created with our American friends and in particular with Kyle Bryant, FA person and ambassador of FARA, but also RideAtaxia Program Director attached to FARA. RideAtaxia is now 10 years old: it was launched by Kyle in the US in 2007 to raise funds for the research, but also to give physical and mental strength to FA patients and to raise public awareness of Friedreich’s Ataxia. Throughout the year, RideAtaxia US organizes races all over the country. As a result o f this collaboration between France and the US, we have created and launched the first humanitarian and sporting bike challenge in France from July 1 to 8, 2017: the peloton de l’ESPOIR (see our magazines N° 147 and 146). 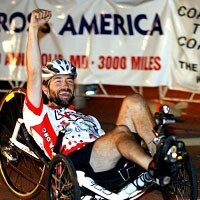 Our cycling tour program has got the same goals as those of RideAtaxia US, raise funds for research. Follow the adventure of the Peloton de l’Espoir on http://rideataxia.afaf.asso.fr/ RideAtaxia Europe has enabled the Peloton de l’Espoir to bring together a large public of people affected by the disease, as well as an audience that is not directly concerned by AF, such as associations, companies, laboratories, the media, elected officials and administrations. .. We are very proud of what has already been accomplished and hope that this is only the beginning of a beautiful and long adventure with, alongside, our mascot Friedy. The collaboration between our two associations has helped to strengthen the database of patients in the FA world registry: cf /magazine Espoir January 2017 and in parallel projects of funding together a grant for common Research with FARA and the AFAF are in discussion. FARA highlights our collaboration on their site for the Peloton de l’Espoir, as well as all US riders taking part to the event in France in July. 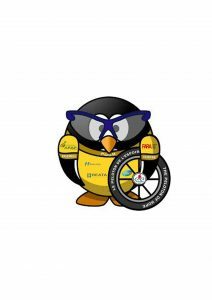 http://www.curefa.org/events/event/493-rideataxia-europe-le-peloton-de-l-espoir. Thanks to FARA, IGBMC from Illkirch and all of you for your active support! This first event in France is just the beginning of a great adventure for RideAtaxia Europe: we hope that a new team, a new town, another sister association, like our Belgian, German, Irish Will also launch into this beautiful adventure by our side to defeat the disease together. Who is going to take over for the 2018 edition??? Be part of the next edition of the 2018/2019 Peloton de l’Espoir. It’s a great human adventure!!!! Call for candidates to send to the organizing team of the Peloton de l’Espoir.